When it comes to beginning investing, one of the most common pieces of advice is to start with a mutual fund. The novice investor can benefit from these products, but it’s important to have a solid understanding of what mutual funds are before you get started. 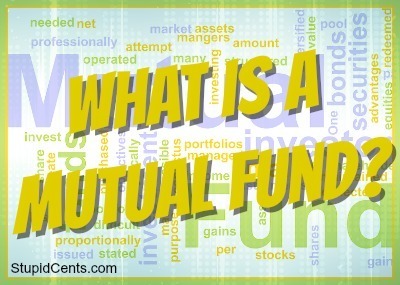 A mutual fund is an investment product that purchases shares of various securities. Basically, a mutual fund is a collection of other investments. When you buy shares of a mutual fund, you are essentially investing in everything that the mutual fund is investing in. Before you choose a mutual fund, it’s important to understand what the fund invests in so that you are certain that it’s a fund you want to hold. One of the reasons that mutual funds are attractive is due to the fact that it’s relatively easy to diversify your holdings with the purchase of mutual fund shares. You have instant exposure to a number of investments all at once. Mutual funds make it easy to diversify when you have a limited budget. It’s possible to use dollar-cost averaging to purchase partial shares of mutual funds regularly, building up your portfolio over time. Additionally, a mutual fund reduces the need for stock picking or bond picking on your own, since someone else is in charge of assembling the investments that go into a mutual fund. Actively managed mutual funds: An actively managed mutual fund is one that features a manager who makes decisions about what investments will best help the fund reach its goals. If the fund focuses on energy investments, the fund manager includes different companies related to the energy sector. If the fund is meant to provide growth, the manager includes investments that s/he feels will grow quickly. An actively managed fund often comes with yearly expense fees of between 1.5% and 4% of your investment amount. Additionally, you might be charged an additional fee up front when you buy shares (or even when you sell shares), called a load. Index funds: On the other hand are index funds. An index fund is a type of mutual fund that simply follows the performance of a specific index. It might invest in all of the stocks on the Russell 2000, or it might be an all-market index fund, investing in every publicly traded company. There are also bond index funds that track bond indexes. These funds often come with lower fees. There are no load fees, and you often end up paying expense ratios of less than 1%. Choosing a mutual fund can be one way to start investing. It’s fairly easy to understand mutual funds, especially index funds. Once you begin investing in a mutual fund, you can set it on automatic while you research investment information and learn what will help you make better decisions down the road. Tom nice guide for the new investor. Investing in mutual funds can be a great way for investors to build a diversified portfolio. Like anything else in investing, however, it does take some work, knowledge, and ongoing attention.